Parkinson’s disease (PD) is a neurological condition wherein there is a gradual decline of brain cells that produces a chemical called ‘dopamine’ responsible for controlling movement (not the strength). Parkinson’s is a progressive disorder which means it only gets worse with time and age. Usually people over the age of 50 years are affected by Parkinson’s but there are also some cases where younger people are affected. Bradykinesia or slowness of movement etc. Parkinson’s disease (PD) has no cure till today and the exact cause of PD is also not known. However, the symptoms of Parkinson’s may be controlled by using a combination of drugs, therapies and occasional surgeries. Drug treatment is the most significant method of treating the symptoms of PD. Drugs help in increasing the level of dopamine that reaches the brain and stimulate the parts of the brain where dopamine works. However, drugs may have different impact on different individuals. Some important drugs for PD are: Levodopa, Dopamine Agonists, Apomorphine, Glutamate Antagonist, Anticholinergics, COMT inhibitors, MAO-B inhibitors. Therapies like occupational therapy, speech and language therapy, Physiotherapy etc. helps a lot in controlling the symptoms of PD. Besides, researchers are also working on stem cells to provide treatment for PD. Depression is a mental illness. In fact during contemporary times, depression is one of the most serious mental illness affecting individuals. Affects of depression are such that it completely changes one’s behavior, personality and body. According to study, depression reduces an individuals quality of life. 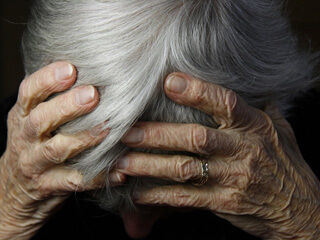 There is a thin line of difference between Depression and Parkinson’s disease (PD). Symptoms such as feeling tired, lacking energy, sleep problems etc which are found in Depression may also be found in PD. Hence, People suffering from PD may also experience Depression. There is more difficulty in treating people affected by both the diseases. An individual suffering from both depression and PD experience greater levels of anxiety and have more movement problems as compared to those who have just Depression or PD. Causes of Depression may be attributed to family history or physical problems such as Problems with Thyroid, improper diet, lack of nutrients etc. Anti-depressants prescribe by the Psychiatrists may be used to treat moderate or severe depression. While Parkinson’s disease itself is very stressful and upsetting so a lot of people with Parkinson’s experience Depression. But it is important to remember that there is always medical help ready to be offered. Health care workers are very active in looking after Parkinson’s patient and for depression there is also medical help available. Effort should be made from the patients to get in touch with the medical professionals for their treatment. Besides, regular sleep, good diet, some gentle exercise would help an individual from fighting against Depression.